As we head into cold and flu season, I wonder how some people always seem to stay so healthy. I blame my kids for spreading germs, but I’d like to think there are things we can do to stay healthier during the fall and winter months. Real health is about more than just the physical aspects of wellness. It encompasses much more. You need to include your mental, emotional and spiritual health in your plans for a healthy lifestyle. While there’s no magic plan or potion that will guarantee your health, you can take steps to increase your overall health. In the process, you may also boost your immune system to ward off those pesky cold and flu germs. Healthy people are optimistic. They don’t waste time and energy complaining. If they need to make a change in there lives, they do it. A positive mental attitude goes along way to promoting and supporting other healthy behaviors. Healthy people aren’t born that way. They have made a choice to live a healthy lifestyle. They take it one day at a time just like the rest of us. 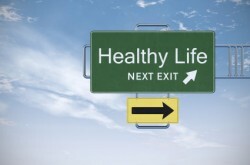 Do healthy people slip up and revert to bad habits occasionally? Absolutely. However, they know not to let one setback hold them back and continue to actively work toward living a healthy life. Eating right isn’t just about what you eat. It’s also about how much you eat. Your body will let you know when you’ve had enough. Healthy people pay attention to their bodies and listen when it tells them they are full. You can stop eating when your hunger is satisfied, and before that bloated, full feeling sets in. Healthy people don’t deprive themselves of the foods they love. They eat healthy the majority of the time, but enjoy their favorite unhealthy foods once in a while without feeling guilty. Eat a couple pieces of pizza or have a cookie. Just remember to stay on your healthy course the rest of the time! I am not here yet. Healthy people actually enjoy exercising. How do they do it? They spend time doing exercises they actually like doing and avoid those they hate. If you hate to run, don’t run. If you don’t like going to a gym, don’t go. Find things you like to do: taking walks outdoors, swimming laps, riding your bike or doing yoga. With technology taking over our lives, many people never really clock out from their jobs. You may check emails from your phone or send work texts at dinner. Healthy people know that work is important, but they also know that our health suffers when we don’t take time for us. Make sure you maintain a good balance between work and play. Everyone knows they should drink more water, but healthy people actually do it. Drinking at least six, eight-ounce glasses of water a day can help you in so many ways. You can control your appetite, avoid dehydration and be more mentally attuned. Keep a refillable water bottle with you everywhere you go. Snacking can make or break your health goals. Healthy people choose snacks like vegetables, fruits, almonds and other nuts. Replace processed snack foods with raw types of snacks, and you’ll develop an important healthy habit. Some stress is a good thing. It keeps us on task and prepares us to handle important challenges. 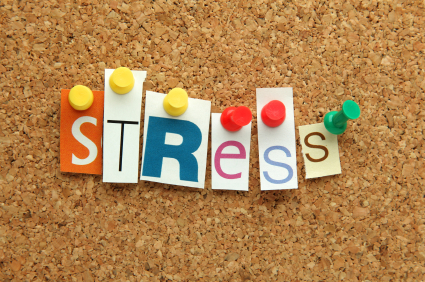 But, chronic stress can be bad for your overall health. It can even weaken your immune system. Take time to relax and do things you enjoy. Say no to stress! Without enough sleep, your immune system doesn’t have the resources it needs to fight off illness. Most adults need seven to nine hours of sleep every night. Keep a regular sleep schedule, avoid caffeine at bedtime, relax and make your bedroom an oasis. Healthy people are attuned to their own needs. You can say no to friends and loved ones. It means that you are respecting yourself. When you’ve reached your limit, listen to your mind and body, and say no. Your friends and family will understand. If you smoke or drink alcohol, it can weaken your immune system. Smoking is also likely to give you additional health problems. While a glass of wine or a couple of beers is okay, overdoing it can cause you to get sick more often. Dogs and other pets aren’t just good to have as companions. They can help you get exercise and improve your health. Pets have been found to lower blood pressure and cholesterol levels, contributing to a healthier heart. Dogs can also be good for your immune system and help you relieve stress. Laughing can be good for you. Research as shown that laughter may help boost your immune system. Laughing and smiling also help relieve stress and put you in a good mood. Take time to enjoy life’s little pleasures. Be thankful for everything that is good in your life. The ability to appreciate the things you have, regardless of what else might be going on, helps you maintain a peaceful mindset rather than focus on what you don’t have. Healthy people treat others how they want to be treated. Creating a habit of kindness and respect will make you feel good about yourself and build strong relationships with your friends and family. Small acts of goodness can change your life – and can impact someone else’s life, too. Be compassionate, and you’ll give off a healthy glow! This entry was posted in Eating Right, Exercise, Feeling Rested, Goals, Habits, Life Balance, Spiritual, Stress Management and tagged boost immune system, colds, emotional, exercise, flu, germs, good habits, habits of healthy people, healthy habits, healthy life, healthy lifestyle, healthy people, mental, optimistic, overall health, physical health, spiritual on 10/26/2015 by Krista Zuber. If you’re like most parents, your list of errands and things to do never ends. You run from one activity or event to the next. You’re probably stressed out at times. Guess what? Your kids may be stressed out, too. 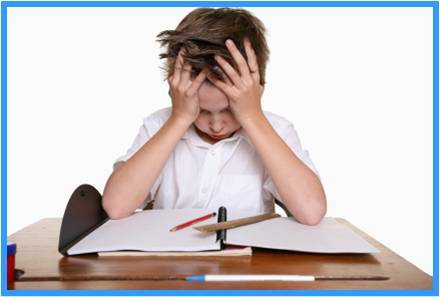 The start of school – after a summer of being on vacation – can be a particularly stressful time. How do you know if your kids are stressed? A recent survey by the American Psychological Association found that 20% of children have ongoing stress. Does your child have more meltdowns than usual? Do you notice more fatigue, irritability, headaches or stomachaches? Is your child sleeping poorly or having more nightmares? Does your child seem angry? Kids are perceptive. They watch you and pay attention to what you’re doing. If you show them that you can manage stress in productive way, they will learn that stress is something they can deal with. Make sure they see you finding effective methods of handling stress in your life. Most people wait until they’re stressed out to use stress-busting techniques. You can teach your kids to know the signs early or take a preventative approach to dealing with stress. For instance, you can use healthy eating, exercising, meditating or other techniques to help cope with stress. While we rely on technology in many aspects of our lives, it can also add to our stress levels. Try a self-imposed technology cut-off time. Limit screen time for kids, including TV, movies, mobile phones, tablets and social media. You and your kids may be surprised by the things you can find to do when you’re unplugged. At least once a day, make it a point to eat a meat together. It can be breakfast if everyone is up and about at the same time. Or plan on sitting down to eat dinner in the evening as a family. You can learn quite a bit about what’s going on in your kids’ lives if you sit down regularly for a meal and conversation. As adults we spend time with our friends to unwind, complain about our boss or just goof off. Your kids should also build healthy friendships that allow them to be themselves and blow off steam. They can hang out at the park, have sleep overs or just play in the yard. Sports are a great way to relieve stress. Playing a team sport can also help your kids build relationships, exercise and have fun. Art, music or other creative tasks can help alleviate stress. Even reading a book can be a stress buster. Relationships can help kids build resilience. Spending time with parents or grandparents playing board games, cooking or tossing a frisbee can help kids handle stress. And it creates happy memories for everyone! This entry was posted in Eating Right, Exercise, Life Balance, Relationships, Stress Management and tagged American Psychological Association, are your kids stressed, de-stress, kids and stress, manage stress, ongoing stress, positive thinking, prevent stress, relationships, school and stress, stress, stress busters, stress relievers, stress-busting techniques, stressed out, unplug on 08/24/2015 by Krista Zuber. What’s the most common reason why people exercise? To lose weight. Yet, physical activity provides so many more benefits. Do you want to feel better? Need more energy? Want to live longer? Then get out there and get moving! If you’re in a bad mood or have had a stressful day, you can blow off some steam by going for a brisk 30-minute walk or working out at the gym. Exercise stimulates brain chemicals that make you feel happier and more relaxed. You may also feel better about yourself because you fit a workout into your day. When you’re tired, the last thing you want to do is move. Yet, when you use energy to exercise, it gives you an energy boost. By exercising more regularly, you may also be able to eliminate fatigue and find that you have a lot more pep. Working out can make you look better on the outside. It can also make you feel better on the inside. Exercising can make you feel more empowered and boost your self-esteem. You feel ready to conquer anything. We need our beauty rest so that our bodies can recover, repair damage, renew energy and clear the mind. Exercise is an all-natural sleep aid. People who exercise regularly have less insomnia and a higher quality of sleep. Exercise calms your body and your brain. After you work out, the levels of stress hormones – such as adrenaline and cortisol – drop. Especially after aerobic exercise, stress and anxiety melt away. You may also be able to cope more easily with stress when you feel confident about yourself. If high blood pressure and heart disease run in your family, exercise can help you strengthen your heart. Being active boosts HDL or “good cholesterol” and lowers unhealthy triglycerides. Physical activity keeps your blood flowing and decreases the risk of cardiovascular disease. In addition to giving you a healthy heart, regular physical activity can help you prevent or manage a wide range of health problems. Do you have a family history of certain types of diseases? Get moving and reduce your risk of stroke, metabolic syndrome, type 2 diabetes depression, certain types of cancer, arthritis and falls. Regular exercise can help ease your pain if you have arthritis. It can make your daily activities easier. Consider non-impact exercises like swimming. These types of exercises can be easier on your joints. It’s important to keep our bones and muscles strong as we get older. Weight-bearing exercise, such as weight-lifting, walking, tennis and dancing, can help you strengthen and build bones. It can also help ward off osteoporosis and improve balance and coordination. People who work out often look younger than their friends. Now research has found that exercisers are truly younger on a cellular level than their peers. Exercise more and feel free to lie about your age! In addition to looking younger, regular exercise can add years to your life. You don’t have to be a hard-core fitness buff. Just get up and get moving. Even a little exercise can help you live longer than not exercising at all. The bottom line: exercise is a great way to feel better, gain confidence, combat disease and improve chronic health conditions. Aim for at least 30 minutes of physical activity every day. So get moving! This entry was posted in Exercise, Feeling Rested, Life Balance, Stress Management and tagged arthritis, benefits of exercise, boost energy, combat disease, exercise, heart disease, high blood pressure, improve mood, live longer, look younger, physical activity, reduce stress, regular exercise, sleep better, strengthen bones, workout on 08/10/2015 by Krista Zuber. Are You Always Late? Be on Time Now! I am often running late. In fact, I was born a week late. I have good intentions. I want to be on time. Yet, it always seems I’m running 5 to 10 minutes behind schedule. Most people don’t like to be late. 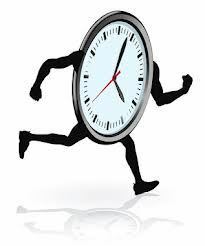 Being late may actually be a habit you’ve developed over time. Think about your history and patterns. Are you late to everything or just some things? What causes you to run behind? How do you feel when you’re late? Each morning, make a list of things you want to accomplish that day. Try to create a realistic list, so you’re more likely to achieve your goals. Arrange tasks in the order of importance, urgency or time of day. Cross off each item when you complete it. I actually like to write out my to-do list the night before so that I don’t worry about it while I’m trying to go to sleep. Plus, I’m more awake and function better at night than I do first thing in the morning. Keep a desk calendar, day planner or use a smartphone app to keep track of appointments or activities. Getting into the habit of keeping track of events on calendar can help you become more organized and prepared for what you need to do each day. Make it habit to check your calendar at the same times each day. It might make sense for you to review it first thing in the morning, after lunch and towards the end of the day. While writing things down may help you remember, be sure to check our calendar regularly to ensure you’re on track. Assume that everything will take a little longer than you anticipate. This approach will keep you on time, or even make you a little early. People who run early tend to be more calm, organized and ready to handle whatever comes up. Late people always aim to arrive right on time, but that leaves no room for contingency. You may know that you can drive to work in exactly 15 minutes. Yet if you get stuck in traffic due to an accident or have to run back for important papers you forgot at home, it makes it impossible to be on time. You should plan to be 15 minutes early to everything. If being early freaks you out, look at it as an opportunity to have some down time. Bring a magazine or book to read, call a friend for a few minutes, or go over your schedule for the week. If you make it an activity you will enjoy, you’ll want to be early. You may be late simply because you don’t have time to do everything. The only way to change this is to cut back on what you’re doing. Figure out what’s most important and make it a priority to check these items off your list. Why are you letting yourself be late? Why aren’t you controlling your time? Part of being on time is acknowledging why you’re late. You’re letting your schedule run your life. To be on schedule is to plan the life you want to live and then create a plan to make it happen. You can make a change that will help you achieve a more balanced life. You can become more organized and create a habit of being on time. This entry was posted in Goals, Habits, Life Balance, Stress Management and tagged achieve your goals, are you always late, balanced life, be early, be on time, behind schedule, being late, calendar, check calendar, create a habit, get organized, goals, habit, overcome lateness, prioritize schedule, running late, schedule, schedule events, take control of time, to-do list on 07/27/2015 by Krista Zuber. Our lives are filled with stress. It’s impossible to avoid. You’re already late for an appointment and get slowed down by road construction. Your boss dumped a proposal on you that’s due tomorrow. Your schedule is hectic, and you need to be in two places at once. Research shows that some stress can be good for you. However, if you’re dealing with persistent – long-term stress, such as a sick parent or a demanding boss, it can actually lead to a variety of health issues. Make it a point to get outside every day. Research shows that vitamin D from sunlight can elevate your mood by releasing feel-good serotonin. Taking in the sights, sounds and smells around you will take your mind off your worries or frustrations. Even feeling the wind on your face can lift your spirits. When you’re stressed, it’s easy to turn to bad habits to make you feel better, such as a candy, cigarettes or caffeine. Next time you’re feeling anxious, go for a quick stroll. Studies show that even 10 minutes of exercise can provide a mental boost. Better yet, climb a few flights of stairs. Climbing stairs requires you to pay more attention to what you’re doing and helps vent frustrations. You probably already have rituals that help you relax, and you may not even realize it. 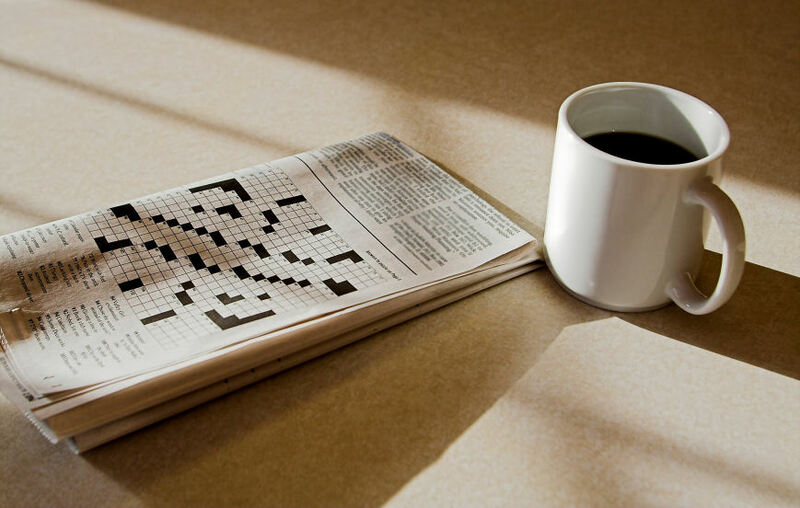 For example, you may read the newspaper as you eat breakfast, listen to music while you clean or take a bath before going to bed. Our bodies naturally crave routines, so focusing on regular rituals can help you relax physically and mentally. If you’re feeling stressed, make sure you stick to your regular routines. Do you handle stress by eating? In hectic times, you may choose comfort foods, such as refined carbs or sugary snacks. You will most likely experience a sugar crash, leaving you feeling tired and sluggish. Extra calories can also quickly add up to extra pounds. The next time you’re feeling anxious, make sure you have healthy snacks on hand, such as fresh fruits, vegetables or a handful of nuts. Stress likes to mess with your mind. Do you ever get stuck in an ongoing loop of negative thoughts or playing back conversations in your head? A great way to get out of your own head is to engage in fun activities that put your focus on your hands or body. For instance, you can cook, knit or crochet, climb a rock wall or play a sport. When you do something creative or an engaging activity, you fall into a rhythmic pattern and your brain helps you relax and feel more grounded. Find a quiet area and create a happy place for a few minutes each day. Just sit still, close your eyes and focus on your breathing. Clear you mind and concentrate on thinking about nothing stressful. It’s harder than you think! Find a comforting and calming image that works for you and helps you relax. 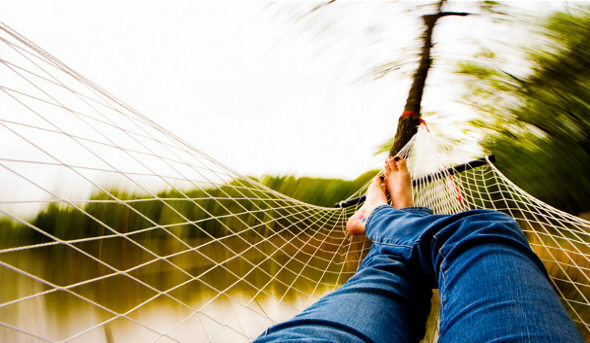 Read more about relaxation techniques. It’s easy to get sucked into worrying over things that have already happened or imagining what could happen in the future. Let go of thoughts about the past and future, and focus on the present moment. Be aware of where you are and what’s happening right now. Think about how the air feels on your skin, the sound of your kids laughing or a friend telling you about their day. Being mindful of the present can help you let go of stressing about the past and future. Take a few moments each day to express gratitude. It can be as simple as going over the good things that happened that day before you go to sleep. You can write your feelings in a journal. Or, you can let friends and family know you are grateful for them. Research has shown that showing more gratitude releases hormones that make you feel good and lowers stress levels. Spirituality can boost happiness in times of stress. Many religious groups and native tribes use prayer beads to guide their spiritual practice. Having something to hold while communicating with a higher spirit can provide comfort and routine. Prayer can also help you pass your worries over to God and give you peace. Learning how to cope with stress on a daily basis can help you improve your overall health and well-being. Take the time each day to acknowledge stress and find ways – like the tips above – to help you let it go and live a more balanced life. This entry was posted in Eating Right, Exercise, Giving Back, Habits, Life Balance, Spiritual, Stress Management and tagged anxiety, balanced life, cope with stress, exercise, express gratitude, focus on present, fresh air, get out of your head, grateful, handle stress, healthy snacks, reduce stress, relax, relaxation techniques, spiritual, spirituality, stress, ways to handle stress on 06/22/2015 by Krista Zuber.